The Culebra hut is situated on the second floor. 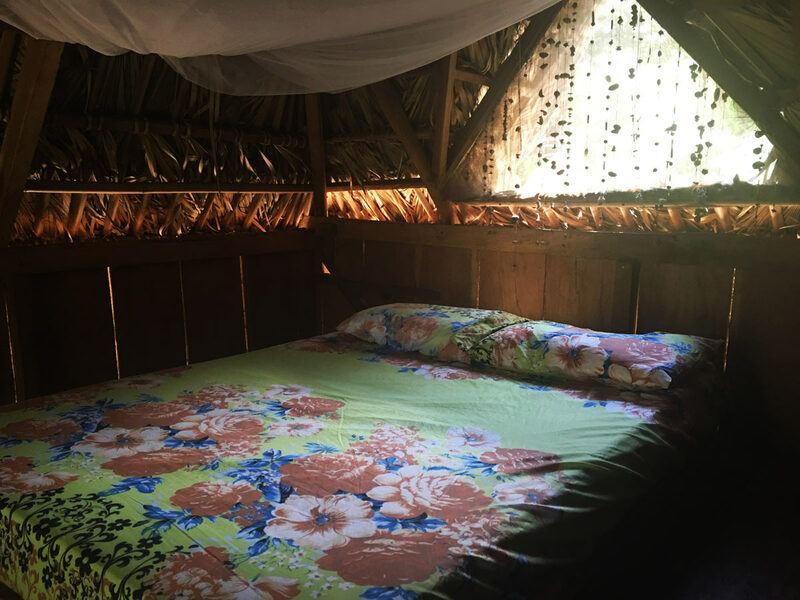 Is a private room but at the first floor there are 5 hammocks of other guests .Like the others it is built with timber and Bamboo from the Farm and has a roof made of Royal Palm tree leaves. 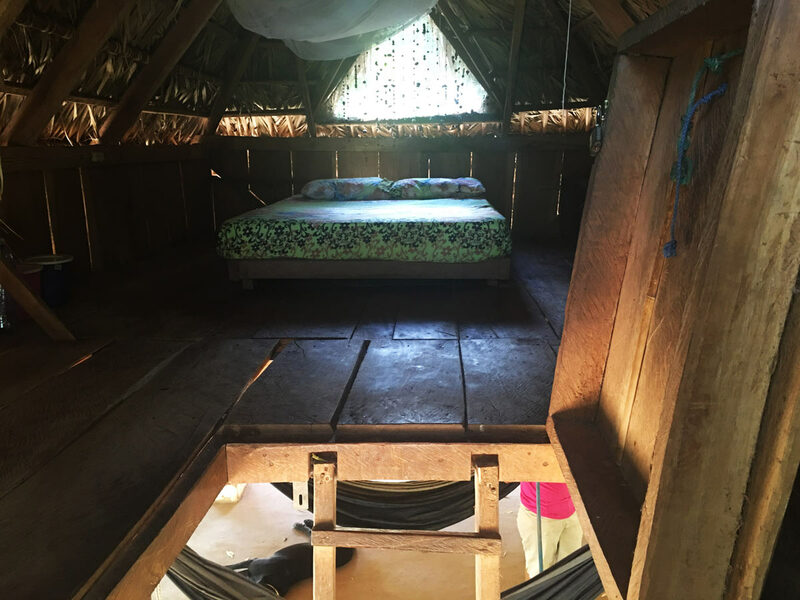 It can house up to two people in a double bed which has a mosquito net. 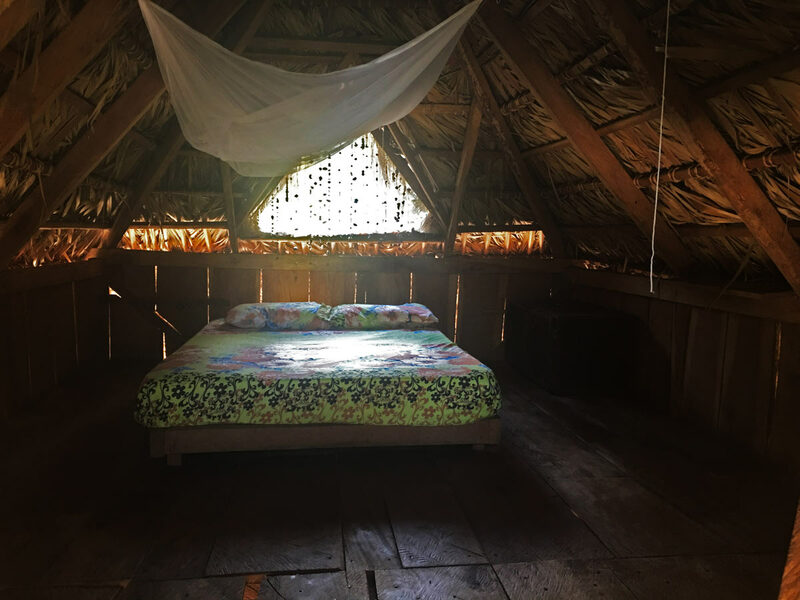 This hut is reached by a wooden ladder and the entrance is a trapdoor which can be opened and closed by weights. It also has lockers for luggage. PRICES: Last update Feb 2019. $12,5 for two people. $10 for one person.